This iSeries 2617-12 Waterproof Case (with Cubed Foam) from SKB is a pro audio utility case measuring 26" Long x 17" Wide x 12" Deep with a layered cubed foam interior for customization to your gear. It is molded of high-strength polypropylene copolymer resin, and features a gasketed, water and dust tight, submersible design (IP67). It is also resistant to corrosion and impact damage, and an automatic ambient pressure equalization valve (MIL-STD-648C) assists with moisture control. This model features 12" deep customizable dividers. 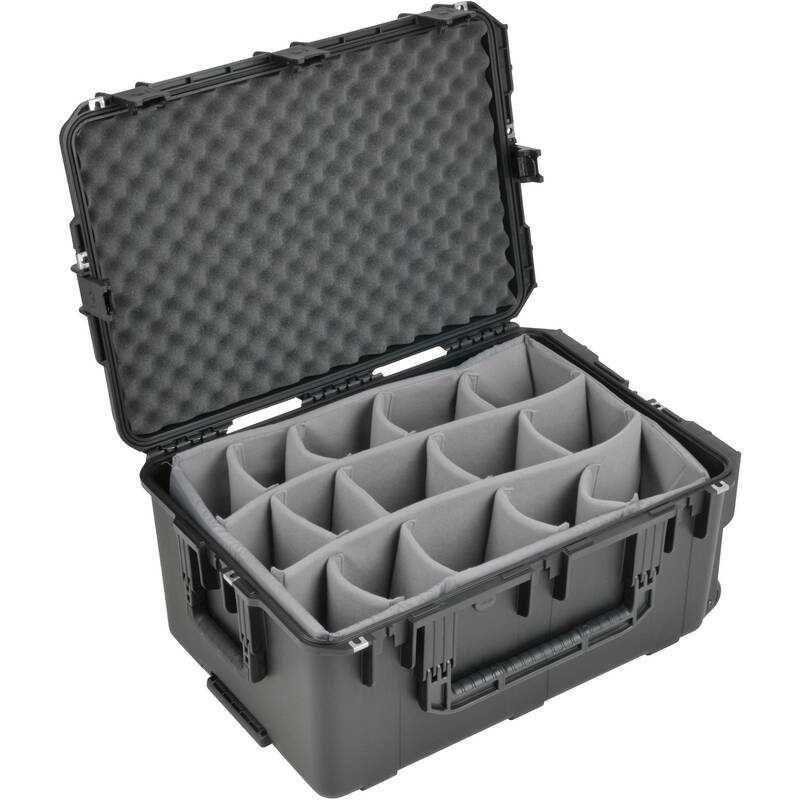 This pro audio utility case also features protected hinges with stainless steel pins to provide stability to the lid and SKB's "trigger release" latching system that is adaptable for TSA recognized and accepted locks. A double grip carrying handle helps balancing heavy loads, and the snap-down rubber over-molded cushion grip handles on each end assist two-person carry. An industrial strength injection molded pull handle and wide set double wheels offer a comfortable transport option. Box Dimensions (LxWxH) 29.0 x 20.0 x 14.0"